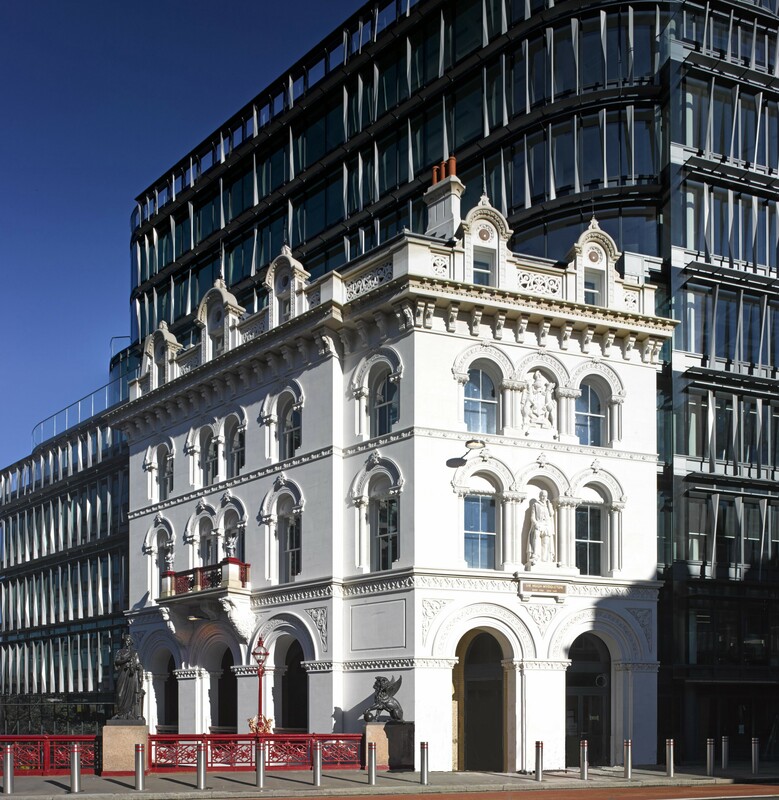 60 London has won the Stone Federation of Great Britain Awards in recognition of the exemplary traditional stonemasonry of the facades which display a feast of elaborate decorative mouldings and specialist carvings including huge Greek Gods and a full size hand carved statue of Sir Hugh Myddleton. All the Portland Limestone stonework was executed by Stirling Stone Limited who are celebrating their 25th anniversary in style by winning the ‘New Build Traditional Style Stonemasonry’ and ‘Craftsmanship’ Stone Federation Awards. The highest possible accolade from their own industry’s national federation. 60 London was recognised by the judges for the meticulous effort undertaken by Stirling Stone in achieving the highest standard of craftsmanship exhibited on the completed building. Stirling Stone Group offer the most comprehensive service of any company operating in the highly specialised field of stonemasonry in building. This embraces quarrying, design, production and installation of all types of natural stone: sandstone, limestone, granite, marble and slate.